Good choice! You are correct. 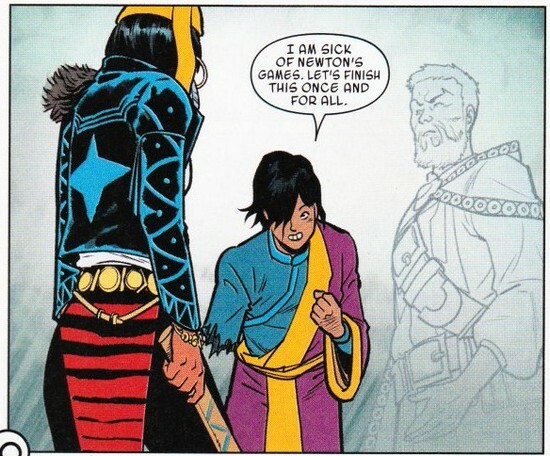 The fact that Doctor Strange & the Sorcerers Supreme #6 is a choose-your-own-adventure story is awesome. Please note Mick's approval of your choice. Note the closed smile, and the lack of any arched eyebrows or bared fangs which - if accompanying the smile - might very well signify not approval of your choice, but some kind of gleeful and sadistic malice. Also note the upturned thumb which, if seen on the side of the road, would translate into, "Please allow me to enter your car though you do not know me and I am likely to kill you." But, in the current context, means, "Good job guys!" You deserve a reward. Here's a Satanic ska band doing a cover of the Bumblebee Tuna Song.